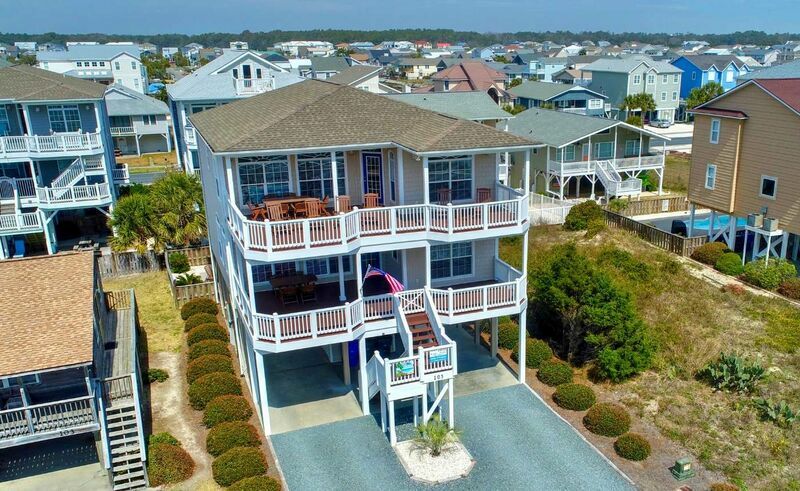 Beautiful ocean views from this 5 bedroom, 4 bath reverse floor plan home with private pool! Wonderful open living room, dining room and kitchen on the second story that opens to a large porch with additional dining outside. Fully equipped kitchen and large dining area for your family. Amenities in this home include a microwave, washer/dryer, dishwasher, 5 televisions including two large flat panel televisions, Blu-Ray player, private POOL, hot and cold outside shower, charcoal grill 2 covered decks w/ porch furniture, two separate living rooms on each floor, wireless internet access, gaming console, no phone. Only four blocks from the pier, less than 5 minute walk to the beach access at Newport Street. Beautifully decorated and well maintained home with lots of extras. Non-smoking and no pets.